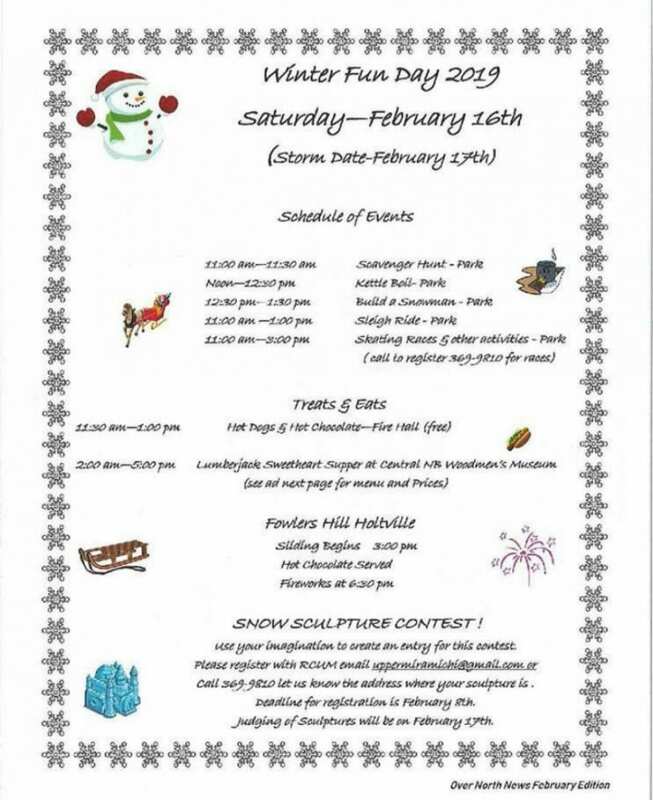 On Saturday, February 16th, 2019, come one and all to the Rural Community of Upper Miramichi, just a little over an hours drive from the City of Miramichi, and less than an hour drive from the City of Fredericton to the Rural Community of Upper Miramichi Winter Family Fun Day Event. In the event of a storm, it will be rescheduled to the following day, Sunday, February 17th, 2019. Snow Sculptures Use your imagination to create an entry for this contest. Please register with Rural Community of Upper Miramichi Email at: uppermiramichi@gmail.com (or) Call 1-506-369-9810 to let them know the address where your sculpture is. The deadline for registration is Friday February 8th, 2019.